A technique known as foil stamping has long been used as a way of elevating a printed piece – from business cards to posters and packaging. 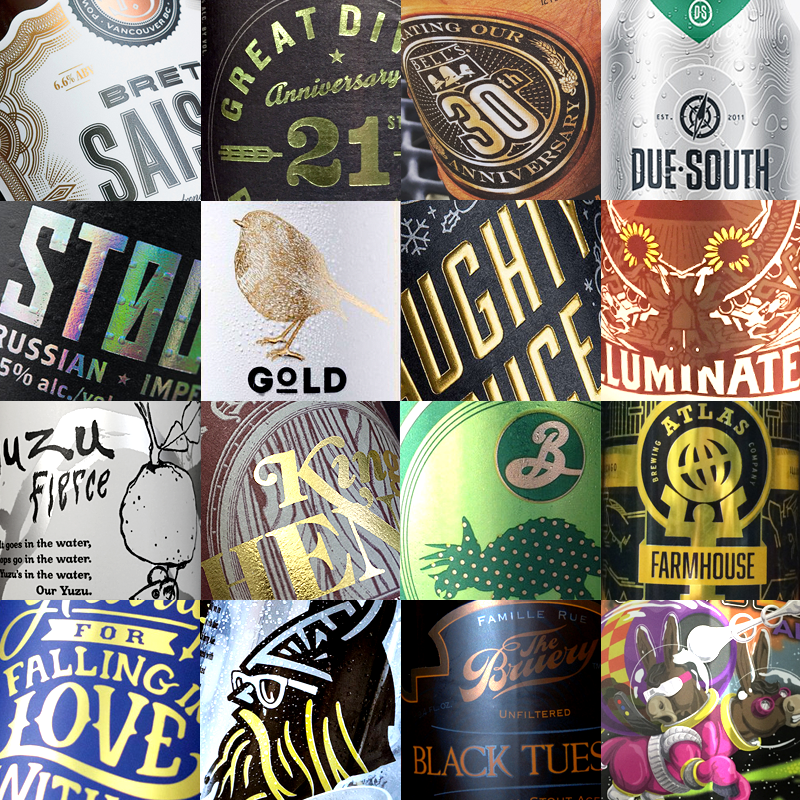 Like any other industry beer, cider, wine and spirits look for ways to celebrate a special release packaging, or elevate a cool design. As printing techniques improve, more options have become available to achieve a premium metallic feel. We'll walk you through the differences and show some of our favorite examples. Let's be honest, people love bling. Gold and silver have, and probably always will represent our idea of "premium." And with a range of options to achieve a metallic look, including metallic wax dipping bottles, we don't see this trend going anywhere.